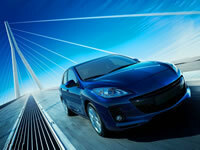 Mazda focuses on producing cars that are thrilling to drive and affordable to own. Many Americans were introduced to the Mazda brand with the launch of the Miata in the 1990s, which still holds the distinction of being the world’s top roadster. Today, models such as the Mazda 2 and CX-9 have won over a whole new generation of fans. Keeping your Mazda on a regular preventative maintenance schedule ensures it stays safe and reliable for you and your family through the long haul. Our multi-point inspections (included with any service) and honest approach to vehicle maintenance and repair see to it that your car is fixed correctly and at a fair price. Our Mazda service and repair shop is equipped with state-of-the-art equipment and diagnostics to best service your car. Give us a call today at (253) 604-4128 or fill out our contact form online.